Let me start off with being quite clear, there are no grizzly Bears on the Baja! 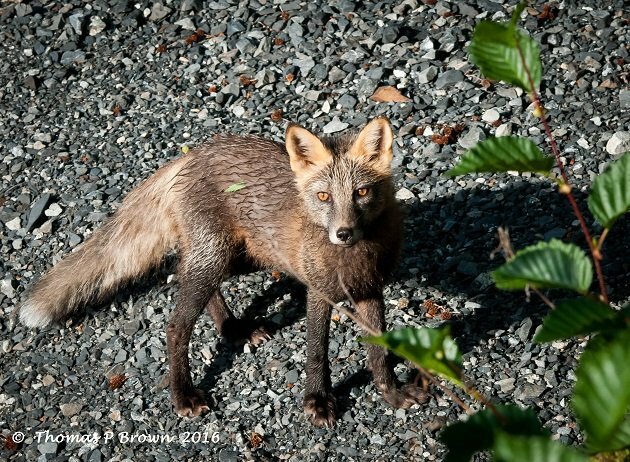 I am actually jumping out of my assigned beat area, to share some photos from my trip to Kodiak Island Alaska. 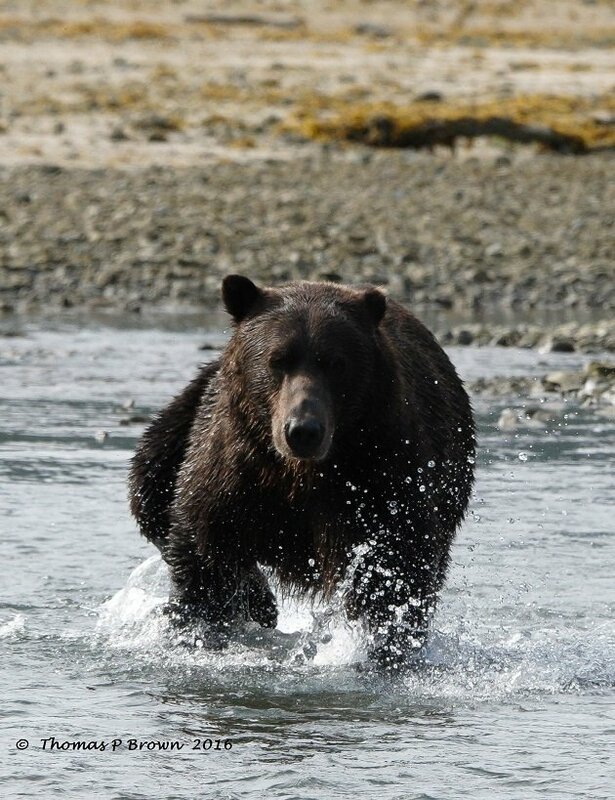 This trip was actually all about photographing the grizzly bears the inhabit the Katmai National Forest, I will not bore you with the flight details, from La Paz, Mexico to Alaska, but it included several planes, one of which was a De Havilland Beaver float plane. 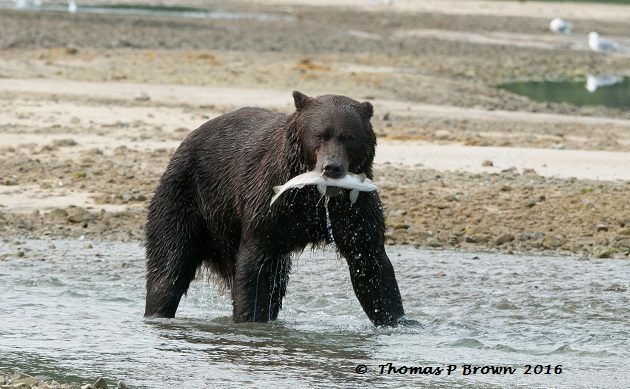 All of which, was for one a one day shoot with the famed bears, as they dined on the fall salmon run. 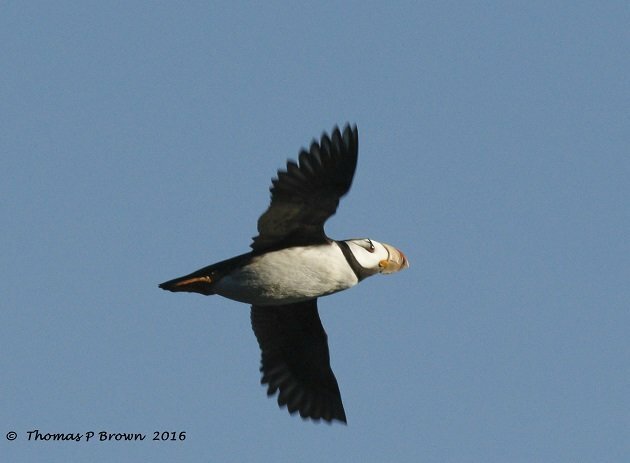 The upside for me, not to take away from my day with 27 different bears, was the next 6 days all by myself on Kodiak Island, recording as many new bird species as I could find. 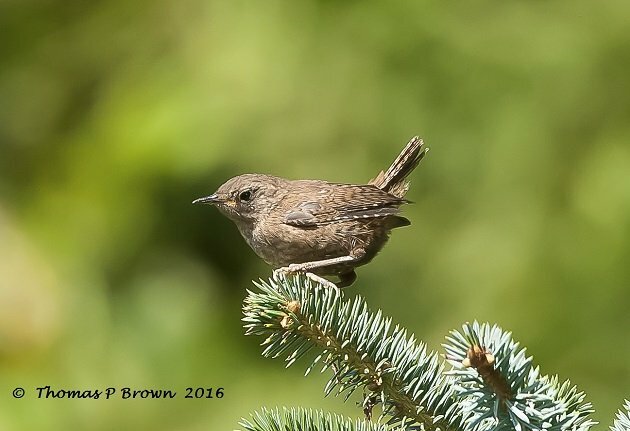 I had prepared a target list of birds that I had hoped to photograph, which, in looking back now was really quite ambitious. Six days on an island I have never seen before, no possible idea of what the Alaskan weather might throw at me, as well as no real idea of where to go. In an effort to make my time there a little more efficient, I went searching for a guide. The long and short of it is, that just did not work out, so I was on own. The weather turned out to be just about as good as I ever could have hoped for, with only one morning of light rain. This is far from the deluges that I had heard stories of, and completely eliminating all the foul weather gear I had packed for me as well as my camera gear. High 70’s during the days, and low 50’s during the nights, and clear skies. So, off I went in my rental car, with the “Do Not Drive Off Paved Roads” notice in bold print on the rental agreement….right, sure, no problem. In addition to the Grizzly Bears, I was able to photograph Woodland Buffalo, squirrels, deer, Red Fox, and even a herd of Yaks. 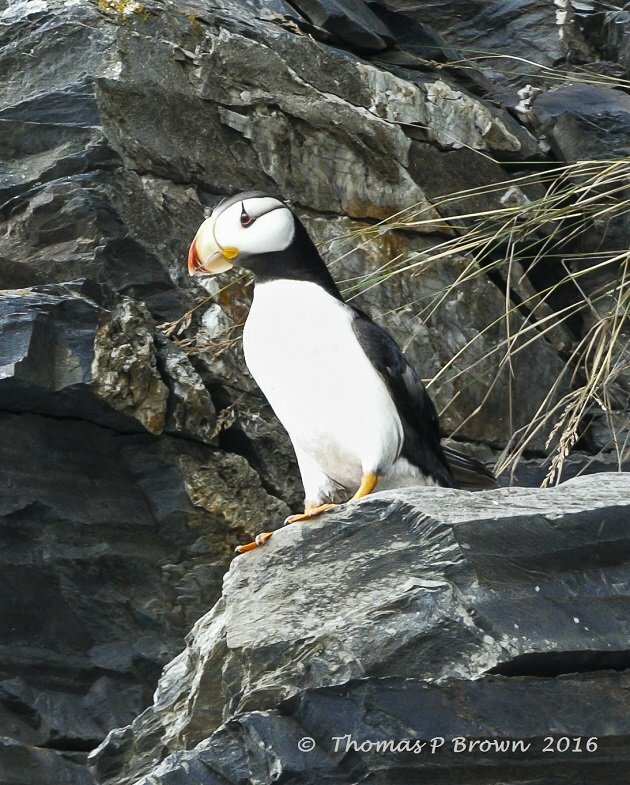 The number one bird on my list was the iconic Horned Puffin. This turned out to be much harder that I had hoped, but I did manage to get a few decent images. The Common Redpoll was a fun find for me. 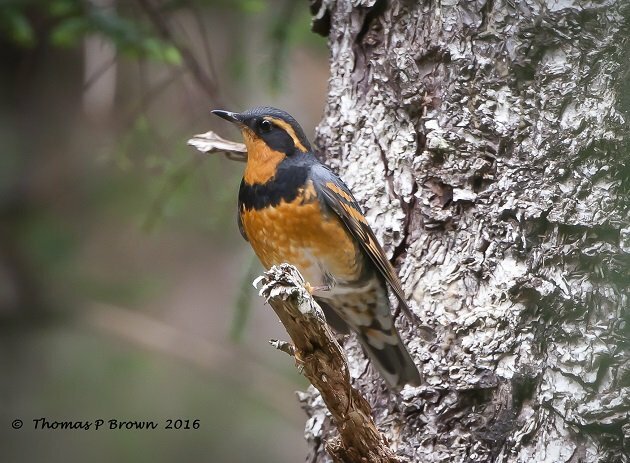 While I had certainly seen a few Varied Thrush before, but I had never been able to get any photos. 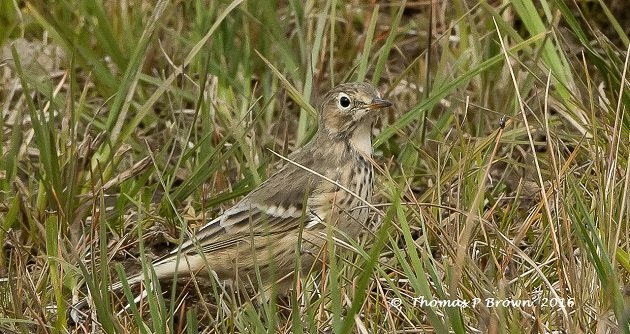 On one of the northwest headlands, I was able to find several American Pipits. 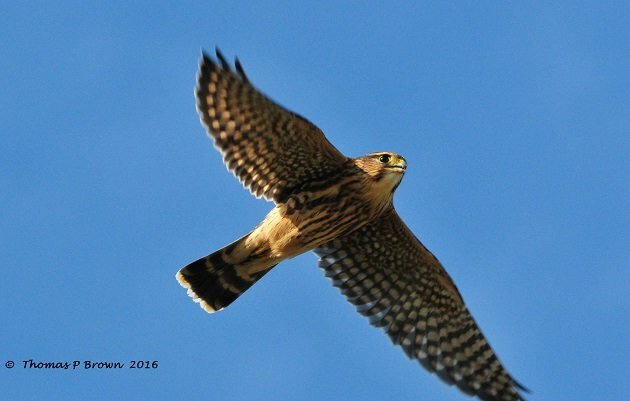 While I was actually photographing a herd of buffalo, this Merlin buzzed my head several times. 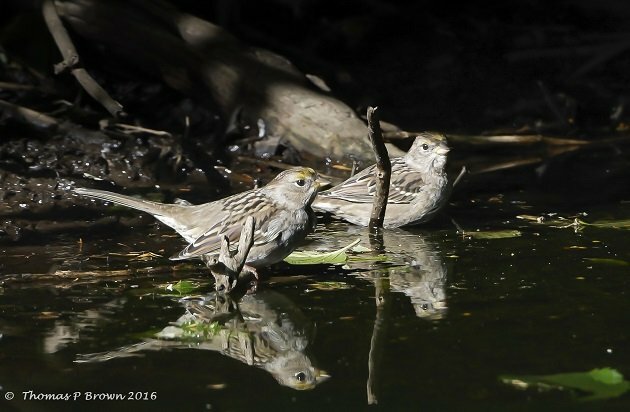 Gold-crowned Sparrows were found around many of the salmon filled streams. 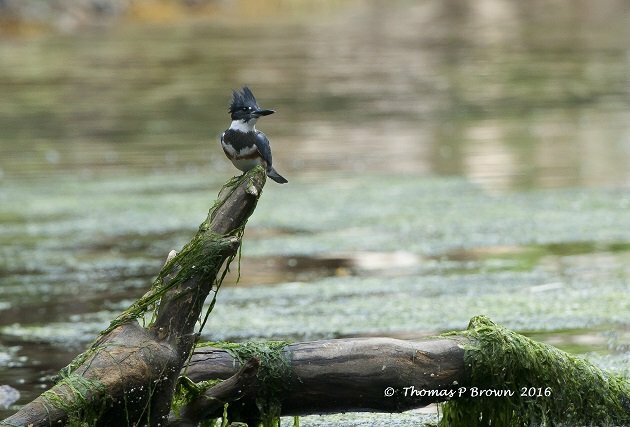 The Belted Kingfisher is certainly quite common, but this is one of my all time favorite Kingfisher images. 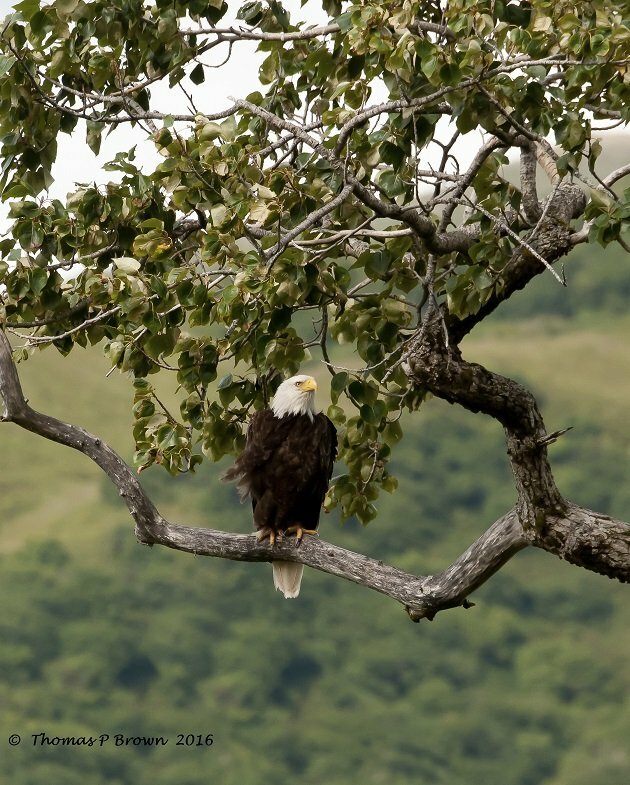 I am sure there is a regulation that requires any article that covers Alaska, must include a Bald Eagle, so here is mine. 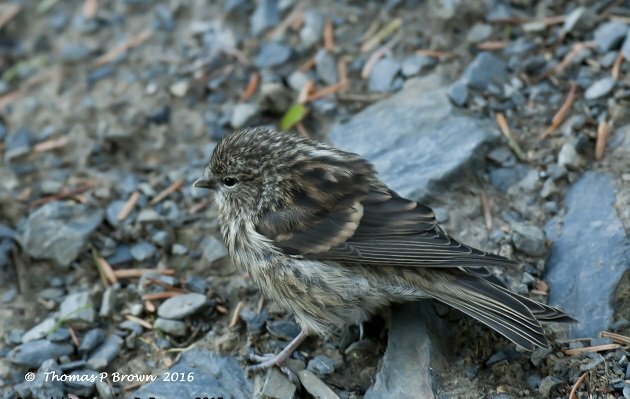 All in all, I add 17 new species to my Life List, not even a quarter of what I had hoped for. Well, I guess I just have to go back!